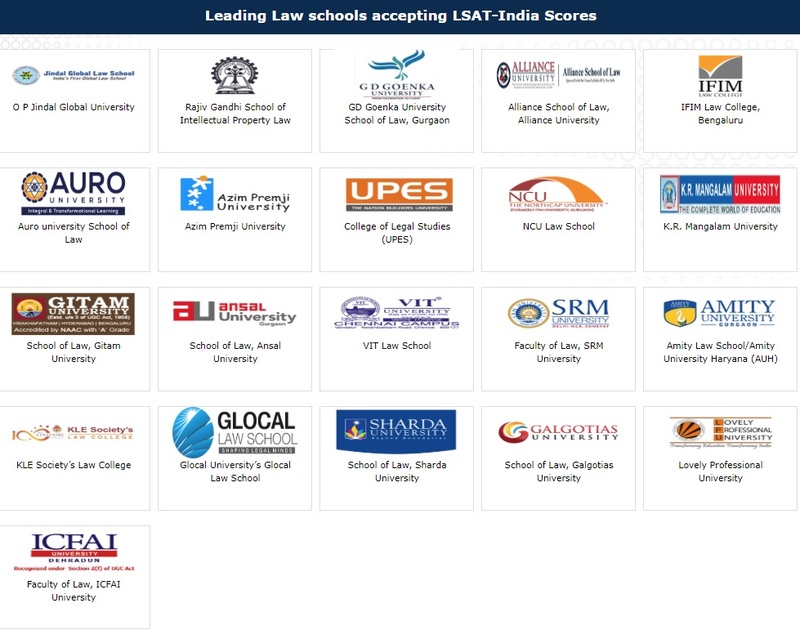 LSAT—IndiaTM is a standardized test of reading and verbal reasoning skills designed by the USA–based Law School Admission Council (LSAC) for use by law schools in India. The LSAT—IndiaTM will be administered in multiple cities on 20th May, 2018. LSAT—IndiaTM is a paper-and-pencil test with four sections. Registration Window: Candidates can register for LSAT—IndiaTM through ONLINE mode only. Register online for the LSAT—IndiaTM entrance test by logging on to lsat.fdshive.com (registrations opens on 4th October 2017). The LSAT—IndiaTM registration fee is INR. 3800/-. The fee can be paid online only through credit/debit cards. The candidate can also contact Pearson VUE at [email protected] for more information. On completion of the registration, all candidates will get an LSAT—IndiaTM registration number. Candidates will need to mention this LSAT—IndiaTMregistration number while submitting the application forms to the associated colleges. After obtaining the LSAT—IndiaTM registration number, the candidate must download/obtain the application form from the associated college. The college admission application forms will require candidates to mention their LSAT—IndiaTM registration number. Candidates must ensure that they write their LSAT—IndiaTMregistration number at the given place in the Application Form of the associated colleges. All registrants who complete the test registration, pay the test fee in a timely way, and follow published test rules may sit for the LSAT—IndiaTM. It is the candidates’ responsibility to understand the eligibility requirements of the associated law schools before deciding to register for the LSAT—IndiaTM. If a candidate registers for the test and then determines that he/she is ineligible for admission to the intended law school, no test-fee refund will be available. Test Scores of students writing the LSAT—IndiaTM will be transmitted to the Associated Colleges.